Silkscreened by Kevin Harris and produced by Alistair Mackintosh and Graham Paton in an edition of 85. Quantum 1 won the Alecto Award at the Bradford Print Biennale in 1976. The image is of the Trombay nuclear power station, which made headlines that year due to India exploding its first nuclear test bomb. 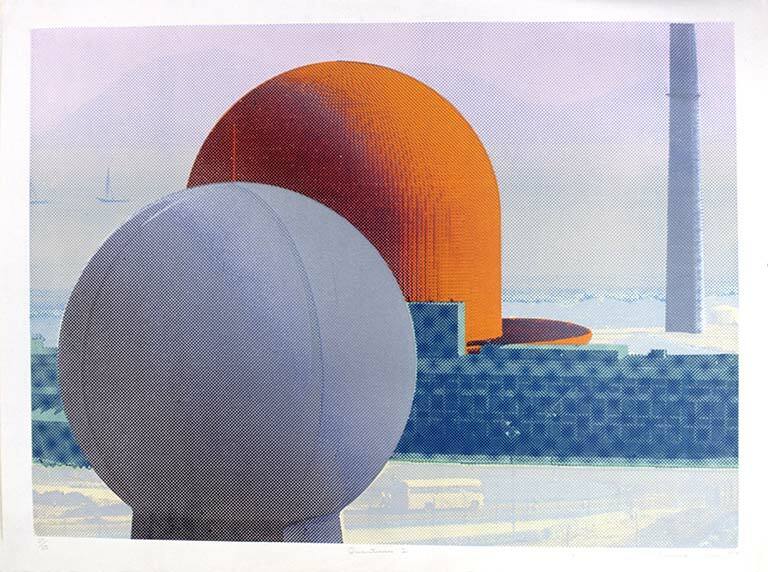 Lijn had cut the photo from the newspaper about a year before the uproar, intrigued by the forms of the power station. It is a sequel to her set of Industrial Landscapes.